Apple devices obsolete after 18 months? The original IPad was the current model until superceded by the iPad 2 in March 2011. 18 months later Apple are no longer providing IOS updates for the iPad 1 and app updates are appearing which require a minimum of IOS 6 and cannot therefore be installed. I appreciate devices can’t be supported for ever but making devices obsolete after 18 months is totally unacceptable. Will you buy an Apple device now that you know it may not be fully functional in 18 months time? I came across a blog entry (copied below) that I wrote in September 2006; strange how appropriate it remains almost six years later. ‘Plus ça change’ as they say. “Customers of Sutton and East Surrey Water are subject to a Drought Order granted by the Environment Minister to allow the Company to restrict the ‘non-essential use’ of water. Are we in control of our fete? A typical image of UK village, or in fact any community, life for me is a fete or other fundraising event. In my mental picture ‘stuff’ is collected from the dark recesses of people’s homes for sale alongside home made cakes and ably supported by an ancient toddlers’ roundabout and the inevitable raffle. Everyone works hard to create the event, stands in the hot sun all day (memories are always sunny) running their stall. The hard work of clearing away is then followed by counting a mountain of coins and the satisfaction of a successful community event and a profit raised for a good cause. Now move to the 21st century and you are likely to find legislation has overtaken the event and a large proportion of the above is probably breaking the law. Did you carry out a risk assessment? Do you have the appropriate gaming license to cover your raffle? Were health and safety rules followed during the production and sale of Old Mrs B’s infamous chocolate brownies? Don’t even consider letting your event spill out into the street or a whole new level of laws will be waiting for you. Local events are a key part of our communities and way of life but at the same time the public need to be protected from dodgy goods, dangerous rides and the salmonella of part barbecued chicken. Where does the the line of pragmatism lie that protects us without stifling life and the ‘big society’? Small businesses being killed by ignorance of the Internet and Social Media? It was interesting to read the article in the Guardian/Observer which highlights how large stores such as Tesco are regretting their past decisions to open ever larger stores now that an increasing number of customers are abandoning them in favour of Internet shopping. I must confess I have little sympathy for these retail giants; I have always seen the building of these huge stores as a greed lead approach to business which often steamrollers across environmental common sense and the wishes of local communities to produced traffic nightmares and an unpleasant and time consuming shopping experience. However, while these massive companies are using their huge resources to reinvent themselves the small businesses in our high streets are also suffering from the Internet but for different reasons. They are undoubtedly struggling to match the prices that the Internet-only businesses such as Amazon can manage but what is less obvious is that they are often invisible to the enormous number of potential customers who start their shopping via Google and other search engines. Try making a mental map of the businesses in your local high street then pay a quick visit to your favourite search engine and see how many of those businesses have become invisible. Now repeat the exercise using your favourite Social Media networks such as Facebook, Twitter, LinkedIn and FourSquare and see how well they have managed to hide themselves from the huge number of Internet-literate shoppers. I am currently organising an event which offers businesses free publicity and thereby the opportunity to attract customers. The Internet and Social Media ‘invisibility’ of many businesses makes it harder to contact them, harder to make them aware of what is on offer and consequently harder to push potential customers their way. There are many initiatives from the government and elsewhere that are trying to stop ‘the death of the high street’. Maybe some simple, and relatively cheap, guidance on the creation of web sites and use of Social Media may help them to once again become visible to their twenty-first century customers. 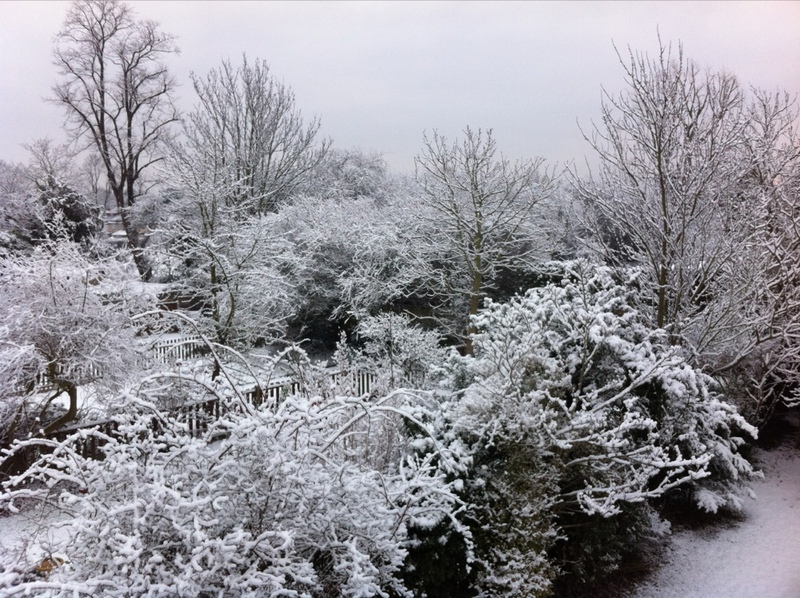 London enters a Siberia look-alike competition. The eagle-eyed will have noticed a distinct lack of blogging here since November and some have even phoned to query the lack of activity. I can confirm I am alive and able to type but some consultancy, web site coding, Christmas, New Year and other excuses have all contributed to the blackout. Since we last ‘met’ I have been asked to teach IT for Sutton Library Services and ‘standing in the wrong place at the wrong time’ has also lead to my appointment as Organiser for the 2012 Cheam Charter Fair. Teaching IT has proved to be interesting and rewarding, allowing me to pass on over 38 years of IT experience to those starting out. It also provides an opportunity to meet new people and network with other Council staff. In rugby terms the Fair role could be described as a ‘hospital pass’ but it is likewise providing an opportunity to meet people and network. In addition it has also required me to hone my WordPress, marketing, Social Media and diplomacy skills. With my background it was inevitable that IT would be at the heart of the job so within four hours of accepting the pass role I had bought a domain name, set up a web site and created accounts for Facebook and Twitter. The use of Social Media for the Fair has confirmed its power but also reminded me there are still organisations and individuals out there who can’t be reached via the Internet, and are losing out because of it – an interesting link back to the teaching role. First, think of some companies spending huge amounts of money on advertising; those with TV advertisements in slots around programs with large viewing figures is a good place to start. Next, consider your perception of the quality of the customer service offered by these companies. Many companies are hemorrhaging customers due to poor service and at the same time spending a fortune on trying to get new ones. Now call me old fashioned, but if these companies spent some time and money trying to understand the reasons they are losing customers and then doing something about it they would find themselves with a win, win, win situation. Customers would be happier (and more likely to recommend the company to their friends), the company would lose less customers and they could save a fortune in advertising costs. I admit I have no data to back this up, but I’m happy to go with my gut feeling and leave you out there to agree with, or correct me. Are you looking for a job or is it likely you might be looking for one soon? Conversely are you currently looking for staff or thinking about doing so? Either way, have you considered the impact of Social Media on the process of getting a job or filling a vacancy? Have you, or should you change your approach to Social Media? In the ‘good old days’ it was all relatively straightforward; employers advertised jobs in the local newspaper, or maybe a trade journal if one existed, and the job hunter obliged by reading the advertisements. A CV or request for an application form then followed and hopefully more letters would flow as the employer and potential employee weighed each other up. With the growth of email and the Internet things got slicker and we were able to surf our way across job web sites and email our CV or fill in an online form. This made things a bit quicker and easier but basically the process was very similar. Then, in our usual cunning way, mankind realised there is a lot of information out on the Internet and services such as Google have an uncanny knack of finding it. So, what happens now when a CV drops in an inbox, or someone sees an advertisement for a job? They head over to Google, Bing, Yahoo or whatever and see what dirt they can find on the person or company. Turning this on its head, are YOU happy that everything you have shared with the world via Facebook, Twitter, LinkedIn, YouTube, Foursquare etc is the kind of thing you would want a potential employer or employee to see? There have already been cases of people being sacked as a result of their inappropriate Social Media activity but I wonder how many job matches haven’t happened for the same reason. So, next time you are about to tell the world you are calling in sick due to last night’s overindulgence, you blog the hidden truths about your company, or you decide to ‘follow’ an inappropriate Tweeter, consider who might be reading it! For the past month I have been looking deeper into Social Media, trying to get a better understanding of the various services available and also to see how and why individuals and businesses are using it. I was already a casual user of Facebook, Twitter and LinkedIn but have now started blogging and using other services such as Foursquare and Klout to get a better idea of what is available and what impact they have. One thing that has really hit me is the amount of time people and businesses are spending on Social Media and often without a clear benefit. Personal use seems to focus on Facebook with some people also tweeting and making business contacts via LinkedIn. Fewer people seemed to be aware of Foursquare but I can see how this service could grow if the number of users increases, possibly on the back of inventive use of its facilities by businesses. I have been looking at the output of certain Tweeters who are, by certain measures, deemed to be the elite of Social Media and their approach and content can be very different. Some have genuinely interesting Tweets and I can understand their success. Others seem to Tweet very similar information and it makes me feel they are using a database of Tweets including the words ‘Social Media’ which are submitted randomly by a piece of software. My observations have also made me realise that, not surprisingly, you need to be very careful choosing a Social Media expert to advise your business. The output of some selling themselves as experts seems very naive and it makes you wonder what advice they are giving their customers. The understanding and use of Social Media across businesses is very variable, some Directors just give you a blank look when you mention Social Media but it is clear other businesses are running huge and very successful campaigns. Overall I get the feeling it is still early days for Social Media and I will be interested to see how use of services develops. I get the feeling the current use of multiple services is too time consuming and unsustainable which leads me to predict the number of services will contract over time as each expand their facilities to cover the strengths of their competitors. The problem is knowing which horse, or horses, to back. Which service will be the ‘VHS’ and which the ‘Betamax’ and will you and your business direct your time and effort in the right direction? It is now a month since I left my full time job and time to look back to see how life outside the world of commuting is progressing. A month ago I set myself some objectives including the publishing of this blog. The ‘cunning plan’ was described in my blog post ‘Avoiding the sofa and daytime TV‘ and includes a set of target categories (Exercise, Learning, Beer/brewing, Photography, IT, Social Media, Human interaction, Travel) which I thought would cover my aims and needs. I have been keeping a note of activity relevant to these target categories since the start of October and have now analysed this information to try to judge my progress. I shan’t bore you with the detail but, not surprisingly, my level of achievement has been mixed. A lot of areas would definitely get a ‘could do better’ mark and under the ‘Learning’ category there isn’t a record of any activity. In some cases the lack of achievement isn’t an issue e.g. the ‘Learning’ category was aimed at subjects outside my core skills set so overlaps with the ‘Social Media’ category which has seen plenty of activity. Over time I suspect the learning curve for Social Media will decline, leaving more time for other things. Although it may seem a pain keeping track of activity it is useful that I can see where lifestyle changes are needed to enable me to put more effort into areas that are lacking achievement. I can also review the categories and adjust as necessary for future months. All this may seem a bit ‘over the top’ but it does provide a simple way of tracking what I should be doing against what I am doing and, importantly, it is keeping me away from the dreaded couch and daytime TV. If you have a better plan please get in touch!